A steam trawler which sailed from Hull more than 100 years ago was the toast of an event aimed at raising funds and awareness in an attempt to bring her back to the city. 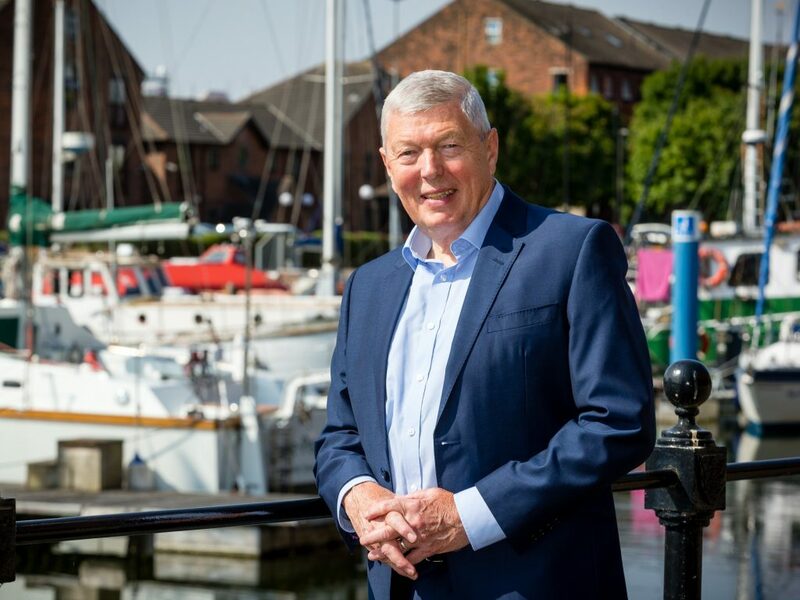 Guests at the exclusive event heard from former MP Alan Johnson, Patron of the Viola Trust, and from key figures at Hull City Council that a space has been reserved for the Viola trawler in the proposed Yorkshire’s Maritime City project. They were urged to support the campaign by making donations and by spreading the word about the benefits of the project, which include adding to the development of Hull as a world-class tourism destination and providing training opportunities for a new generation of marine engineers. Many took advantage of an immediate fund-raising opportunity by purchasing bottles of commemorative Viola gin, hand-crafted by Hotham’s Distillery in Hull and launched at the event, which was held at 1884 Wine & Tapas Bar in Hull and featured a gin-themed menu. Mr Johnson, who as MP for Hull West and Hessle campaigned tirelessly to secure recognition and recompense for the Hull fishing families who lost thousands of men at sea, told of the Viola’s place in the city’s maritime history. She was built in 1906 at Beverley Shipyard and became part of a fleet of 50 owned and operated by Hellyer Brothers. After being requisitioned to defend the coast of the UK during the First World War, she sailed from Humber Dock – now Hull Marina – in 1918 and has never returned. The Viola went back to trawling under Norwegian owners and was then converted to catch whales. A further sale to an Argentine company saw her move to the South Atlantic to catch elephant seals. 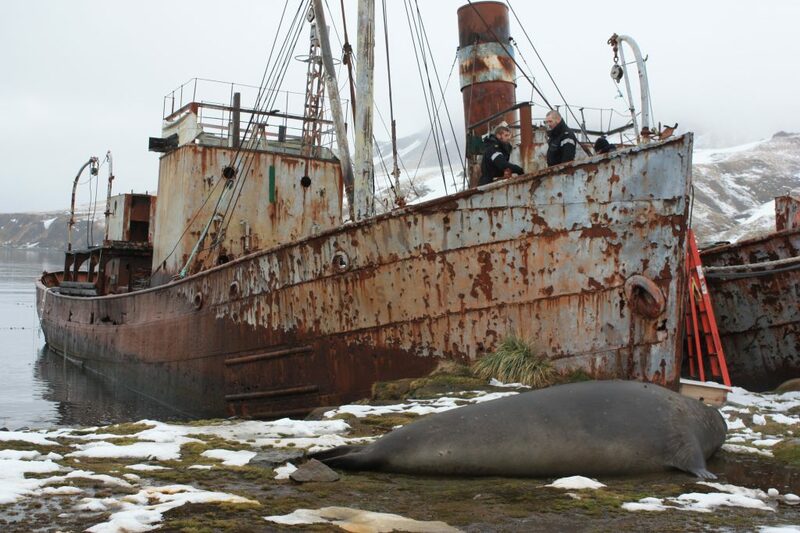 She also supported expeditions to the area but when the whaling station at Grytviken closed in the mid-1960s she was mothballed. She still sits on the beach where, in 1982, she was targeted by Argentine scrap metal merchants in one of the incidents which triggered the Falklands War. He added that the Viola Trust has secured clearance from the authorities in South Georgia to bring the ship back to Hull, ABP have agreed to provide a site where she can be restored and training bodies are standing by to provide young learners. He said: “It’s good for engineering, it’s good for tourism, good for the economy and part of our maritime heritage. I have got a TV company who are desperate to make a film about the Viola but they won’t commission it until the funds are in place to bring her home. Simon Green, Director of Cultural Services for Hull Culture & Leisure Ltd, said Project Hull: Yorkshire’s Maritime City emerged from the recognition that Hull needs to do more to celebrate and benefit from its links with the sea. He said: “Part of the City Plan is about establishing Hull as a world-class destination. It builds on the investments that have been made in the city already. We need more people to come to Hull and be enamoured by Hull and its unique culture. Mr Green said projections indicate the scheme could create about 50 new jobs and at least 46 apprenticeships and traineeships, providing opportunities for around 20,000 learners and attracting 300,000 visitors in year one alone. Be the first to comment on "Gin-spirational event backs campaign to bring the Viola home"